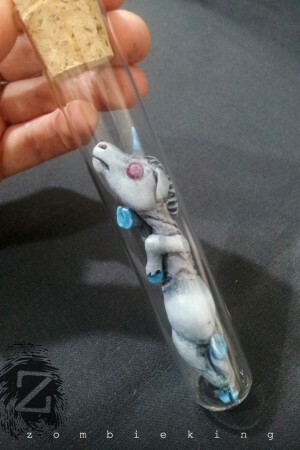 stockwise – there’s currently only 1x left of a few specimens (unicorn, devilgoat, alien, t-rex) and 2x of some others (zombie unicorn & satyr). frankenfoetus is completely sold out. all specimens are £20 each. virtually all of my moulds are worn out. I do still have all the original sculpts, but it’ll likely be a good while before I get any of these remoulded and back into production. I fully intend to re-release this testtube baby range in the future (as well as other new specimens I’ve been working on) but projects pile up and workflow gets disrupted so I make no promises about when this might happen! . and lastly, Im away next month… so the shop will be offline from abt 5th June onwards – so if you want any of these last little critters you better get moving!